Uncertainty remains over exactly how many syndicates will challenge for the America's Cup in 2021. Luna Rossa is the challenger of record, while Ben Ainslie Racing and the New York Yacht Club also plan to enter. Team New Zealand boss Grant Dalton says discussions are ongoing as to how many syndicates will ultimately enter. However, he is dismissing the news Alinghi won't be involved in the next America's Cup. Double winner Ernesto Bertarelli has confirmed he has no plans to mount ... See More a challenge, after last being in the mix in 2010. Bertarelli won the America's Cup off Team New Zealand in 2003 and defended it in 2007. He attacked the direction of the Cup and claims it's now a game for engineers. Dalton told the Radio Sport Breakfast that's nonsense. "The America's Cup is a contest that is put together by a defender and it's challenger of record. If you want it to be a different way, you better come and get it." 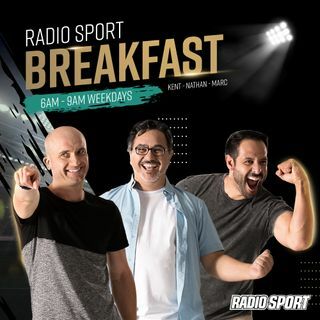 Radio Sport, along with Newstalk ZB, has secured the radio rights to the 2021 America's Cup and all lead-up events. Television coverage will be on TVNZ.